Qualifications and Past Experience Graduating in 2002 Nikolay Shcherbakov worked as a consultant in Supreme Arbitration Court of the Russian Federation where he specialized on civil law with an emphasis on construction law issues and participated extensively in many legal opinions. In 2008 Nikolay made the transition into academia working as an Assistant Professor in the Civil Law Department at Lomonosov Moscow State University. Nikolay is lead lecturer on a course dedicated to construction law and has been responsible for publishing numerous academic works with a particular emphasis on the development of court practice and legislation in Russian construction law. 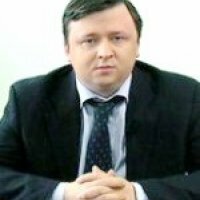 In parallel to his academic work Nikolay founded the law firm Shirvindt, Shcherbakov & partners specializing in Russian Civil Law. Current Occupation Assistant professor at the Faculty of Law, Civil Law Department, Lomonosov Moscow State University, Arbitrator in two leading Russian Courts of Arbitration for Resolution of Economic Disputes, Founding partner at Shirvindt, Shcherbakov & Partners. Academic Activities Assistant Professor at Lomonosov Moscow State University, lecturing on construction law and civil law.